Saturday Night: Patchy fog. Lows in the 50s and 60s. Sunday: Partly cloudy. Highs in the 70s to near 80. Monday: Clouds increase late. Highs around 80. After a spectacular Saturday, more beautiful weather is ahead for the second half of the weekend. Fog will, however, redevelop tonight. That will be locally dense into early Sunday. With time that will burn off to plenty of sunshine allowing highs to pop into the 70s and 80s. 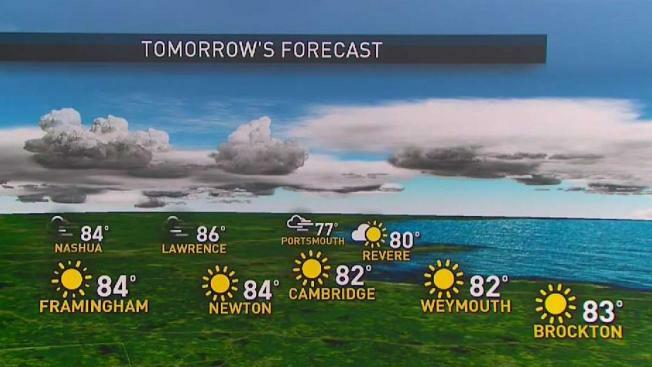 A few extra clouds, and even a spot shower, will bubble up over the mountains of Northern New England. Monday will also be mild with highs in the 70s and 80s. Clouds will increase late from west to east ahead of the remnants of Florence. Those will arrive with periods of heavy, tropical rains on Tuesday. A wide swath of New England will pick up 1-3” of rain. The rain will pull away early on Wednesday, and we’ll turn cooler and more seasonable late week.